CAN GRIFFINS DO WHAT NOBODY ELSE HAS? All eyes will be on Hereward College on Monday evening as Arden Griffins try to stop the Tile Hill Trojans roller-coaster in the top of the league tussle. Trojans have won all their games so far and Griffins are their nearest rivals so a defeat here could prevent the Champions from retaining their title. Griffins were at home last night and destroyed Leamington Spartans while third-placed Aylesford Hawks were in impressive form when they defeated Ernesford Eagles earlier in the week but failed to arrive at Coventry College last night where the game was awarded 20-0. Cracovia Stratford entertain local rivals JM Grizzlies tonight and in Division Two, leaders Rugby Rage – also unbeaten so far play host to Team Rebels who lost on Wednesday to Westwood Rhinos. Trojans 3 hit 5 from 12 free-shots in the frantic final three minutes before edging it over Nuneaton Predators. Here are the game statistics from the games played to the end of FEBRUARY. CORPORATE GAMES SET TO RETURN TO COVENTRY…..
Phil John has been asked to assist with the organisation of the basketball tournament for the Corporate games which is returning to Coventry this August to be based at The XCEL Centre.The basketball games will be played on the 3rd and 4th of August and there will be two registration evenings on 1st and 2nd. There is also a need to have 2 people at the registration evenings. 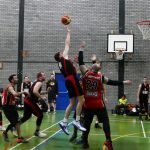 ARE YOU PLANNING TO ENTER THE LEAGUE NEXT SEASON…..
As the end of this season looms the Executive Committee of Warwickshire Basketball are looking at the structure of the leagues for 2019-20. It would assist us greatly if you and your team could indicate their interest in playing in Warwickshire next season by dropping an e mail to us at the address below. This is purely to give an indication and formal entry forms will be sent out shortly. FOUR GO THROUGH TO SEMI FINALS! The Challenge Cup takes centre stage this week and through to the semi-finals are pool winners JM Grizzlies, Westwood Rhinos and Rugby Rage. Joining this trio will be Nuneaton Predators 2 who won their game against Team Rebels by default after the home side failed to arrive and the game was awarded 20-0. In Division One Aylesford Hawks hammered Coventry College by forty, with Ricky Fennell hitting the heights and Ernesford Eagles had a blistering final two minutes to beat Leamington Spartans in the game played last Friday. Tile Hill Trojans 3 beat Nuneaton Predators on Monday then followed this up with a lack-lustre performance against Rugby Rage on Thursday. The game was classed as a double header with the result counting as the cup tie as well as the league fixture. DAVID’S KEEPING US IN THE PICTURE….. Thanks this week go to David Valente the father of Grizzlies’ Daniel for he has sent in several action photographs of Grizzlies games. We sent the picture in the title to the Coventry Telegraph this week and they gave it prime position with the weekly basketball report. Grizzlies were at Tamworth where Tigers took the points with ease but a sterling performance from their visitors earned them accolades from everyone present. Leading the way for Tigers was Lukasz Bolda who landed 28 points including 17 in the third quarter, but Dan Borg set the scene with four three-pointers in the opening quarter. Grizzlies scoring was headed by Harry Adaway who made 13. TIGERS HOST HANDICAP CUP FINAL….. The final of the Bob Castledine Handicap Cup is now fixed for Wednesday 17th April at Rawlett Centre Tamworth and it will feature Tamworth Tigers v Tile Hill Trojans 1 with an 8.15pm tip-off. 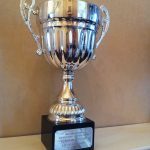 Ironically the pair meet at the same venue in Division One of the Warwickshire Basketball League next Wednesday – just two weeks prior to the final so this match will be a pointer as to who might take home the coveted trophy currently held by Arden Griffins. WEST MIDLANDS SUMMER LEAGUE OPEN FOR ENTRIES ….. The West Midlands Summer League is set to run once again over the forthcoming months and teams who wish to play should contact Keith Kershaw as soon as possible to register their interest. The cost is still to be finalised but is expected to be around £250 per team to include court hire, officials and trophies. For further information contact keith.kershaw@mypostoffice.co.uk or phone 01214201116. NOW IT STARTS TO GET TOUGH! The future of the Division One trophy rests in the hands of the top three sides – Trojans, Griffins and Hawks who play each other in the next few weeks. Griffins had to overcome a bruising encounter with Tamworth Tigers as Trojans had it much easier against Warwick China Red as the games featuring Aylesford, Leamington Coventry College and Trojans 2 were all called off. Battle-weary China Red (PICTURED) play their third game this week when they go to Stratford tonight as Ernesford Eagles entertain JM Grizzlies who won against China Red on Wednesday. Tile Hill Trojans 3 made victory number four for their season with a win over Team Rebels who had defeated Nuneaton Predators earlier in the week. Westwood Rhinos found the going tough when they hosted Rugby Rage who kept their unbeaten record going in style. YOUNG TIGERS GET READY TO ROAR…..
Back in the day, Tamworth Tigers were strongly featured in every competition run by Warwickshire Basketball. They then slipped off our radar but came back a few years ago under different management. Now, as part of the regeneration of basketball in the town Tamworth, Tigers are involved in the launch of THE GRASSROOTS BASKETBALL ACADEMY this Sunday. Tigers have really established themselves back in Division One this season and are clearly looking to the future by trying to attract youngsters to our great sport. The Grassroots Academy launches at 12noon at Landau Forte Academy – see details in the picture opposite, but for further enquiries please contact 07985 737011 or 07825 082559. On behalf of Warwickshire Basketball THE BEAR FACTS wish Tamworth and Tigers every success with their new venture. DURREL FOSTERS AN INTERNATIONAL CALL-UP…..
Our congratulations go to Durrel Foster (pictured) a Finham Park student and Coventry Elite Under 16 player who has made the Welsh Under 15 squad of players, invited to turn out for their Country in a tournament in Sweden in May. According to Coach Marcus Garvey, Durrel has made great improvements this season and will hopefully make the team for the European championship later on in the season. YOUR HELP NEEDED FOR CHARITY EVENT …..
Ian Pursglove is trying to raise money for this great cause by inviting you to donate directly to his fundraising page as he attempts to complete one of his athletic feats. If you were to consider just 10p a mile that would be be £20 towards a great cause – 200 miles in on a bike? Just Giving sends your donation straight to Care of Police Survivors and automatically reclaims Gift Aid if you are a UK taxpayer, so your donation is worth even more. Dec Connolly has told us that for all of our Clubs’ players, athletes, gymnasts, parents or associates, POWERLEAGUE are offering memberships for just £9.99/month, with no joining fee. This includes full access to the fitness suite and all classes in the Studio! If anyone would like to take up this offer, they will need to speak to Ruben Costa by calling 02476 856870 or emailing ruben.costa@powerleague.co.uk. Please reference ‘Woodlands Club Offer’ when enquiring. TIGERS ROAR INTO CUP FINAL! Tamworth Tigers are heading for the Handicap Cup final following their victory over Coventry College, where they will meet Tile Hill Trojans 1 after their win against Leamington Spartans. Tigers brushed aside College in their semi-final at Rawlett after a sensational start saw them add 17 to their 20-15 handicap without College troubling the scorers. The visitors then recovered but the damage was done and Tigers go in search of cup glory following their promotion last season. Westwood Rhinos secured victory in their Round Robin game at Nuneaton Predators 1, pulling back a ten point handicap in Jack Ford’s final match before leaving for a spell of duty in the Falklands, and Grizzlies had to climb back from twenty down as they hosted Team Rebels at The Bridge. Grizzlies managed to get their noses in front at the end of the third quarter before Rebels resistance collapsed. Eagles meet Trojans 3 tonight – Friday. There is a meeting of the Executive Committee of Warwickshire Basketball next TUESDAY 5th March at The Citrus Hotel Ryton-on-Dunsmore starting at 7pm. Final plans for the remainder of the season will be among the items to be discussed along with confirmation of the Annual General Meeting date and venue. WALKING BASKETBALL BACK AGAIN THIS WEEKEND! Walking Basketball is taking off in a big way Fortnightly meetings are run by Trojans in Coventry and the next one is this coming Sunday 3rd March at Woodlands starting at the earlier time of 9am and going through to 10.30. The cost is £5 per person and all are welcome. If you fancy trying it out – AND GETTING A SWEAT ON – contact Mike Maddox (details on Contacts page). TORNADOES’ COACHING COURSE COMING SOON…..
HAWKS FIRING ON ALL CYLINDERS! 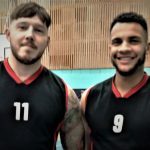 The tension is mounting as the hunt for points goes on and Aylesford Hawks fired themselves back into contention with two wins in four days, thanks largely to the scoring abilities of Ricky Fennell and Matt Glover. Hawks have lost three times so far and are chasing unbeaten leaders Tile Hill Trojans 1 and Arden Griffins who have just one reversal. These two meet at Hereward College on Monday and an away victory would throw the title race wide open. Meanwhile, Trojans 1 made life equally as difficult for JM Grizzlies as Hawks did at Warwick China Red. Leamington Spartans left Trojans 2 on their backs at Hereward College and Coventry College had to call off their trip to Tamworth on Wednesday night due to logistical problems. After last week’s fixture at Bilton, Ernesford Eagles return home to Grace Academy tonight where they entertain Stratford. In Division Two Rugby Rage are still unbeaten at the top but lost Matt Berry in last Friday’s win over Team Rebels after he broke a bone in his right hand. Rebels had a bad week, going down at home to Westwood Rhinos too. 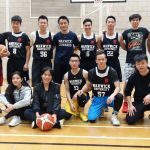 Warwickshire Hawks are running a Level 2 Basketball England Coaching Course next spring at their Moreton Morrell home and aspiring coaches can get the qualification completed by enrolling onto it. Warwickshire Basketball needs more qualified coaches in our leagues and this presents a great opportunity for all. TORNADOES QUIT WARWICKSHIRE LEAGUE – BOMBSHELL! 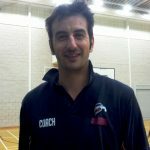 Coventry Tornadoes’ players are reeling following the notice issued to them by owner Paul Adams informing them that he has quit the Warwickshire Basketball League with immediate effect! “Tall Paul” (pictured) sent out the notice earlier this week saying that he could not continue to run the side and cited lack of commitment, payment issues and shortage of players. THE BEAR FACTS understands that the remainder of Tornadoes’ operation will continue as normal…………….Under league rule 3g Tornadoes’ results to date have been deleted. In addition Radhouen Foudhaili has registered to play for Leamington Spartans and Suliaman Charley has been registered for Ernesford Eagles. Leamington Spartans stunned the Bob Castledine Handicap Cup holders Arden Griffins by knocking them out! Coventry College were 20 points too good Cracovia Stratford meaning that the semi-finalists are Tile Hill 1, Leamington, Coventry College and Tamworth. In the Challenge Cup, Nuneaton 1 were also giant-killers as they edged out Warwick China Red by a single point to go one up in their round-robin event. JM Grizzlies were in form at Nuneaton 2 with the final tie of the week taking place tonight at Rugby where Ernesford Eagles are the guests. There is a meeting of the Executive Committee on Wednesday 6th February starting at 7pm. It takes place as usual at The Citrus Hotel, Ryton-on-Dunsmore. 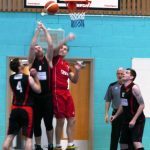 WARWICKSHIRE HAWKS – SEASON BEST PERFORMANCE…..
Warwickshire Hawks were impressive as they defeated City of Birmingham Rockets at Moreton Morrell to go level on points at the top of National League Division Four with three other sides including Rockets who have lost their last three games. It was a tough uncompromising affair with neither side able to establish any sizeable advantage, but a superb second-quarter spell of defensive play restricted Rockets to just nine points as Hawks took a 29-26 half-time lead. After the break it was all things even as Ash Dickson led Hawks home on 18 and Curtis Hadley chipped in with 17. Hawks were without the injured Mark Larner and had two others nursing strains and sprains by the end. 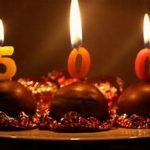 500 EDITIONS AND STILL GOING STRONG! Welcome to issue number 500 of THE BEAR FACTS the weekly bulletin which attempts to keep all of Warwickshire’s basketballers up-dated. It was back in October 2003 that the first one was sent out in an attempt to ensure that players and officials knew what was going to happen the following week. This came after a spate of “no-shows” by people who were unaware of fixtures and changes. To this service we have added over the years, league tables, courses and other event information and have tried to make THE BEAR FACTS our mechanism for communication between everyone involved in our great sport. Next week brings the end of January so we have to remind you that no players can be registered to play in this season’s league or cup after 31st. In addition, in order to qualify to play in the Handicap Cup competitions, which starts next week, players must have turned out at least three times in league matches for the team or club to whom they are registered – unless they receive special dispensation. 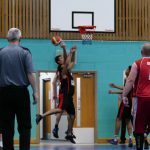 *Remember by registering your players, they are covered for personal accident insurance, and it’s a compulsory requirement if participating in Warwickshire Basketball competitions. The AGM of the re-formed West Midlands region takes place next week and everyone from around the Area is invited to attend. Basketball England’s Charlie Ford who heads up the APSIRE talent programme will be in attendance to give an update, and colleagues can see how they could fit into the talent pathway. Also Laura Doherty is coming along, and she is the Basketball England lead for the West Midlands Region. The meeting will be headed up by Luke Freer who is the Basketball England appointed Chairman and he is looking for as many people at the meeting as possible. Please come along and if you cannot make it call or email Luke with any thoughts you may have. THE BEAR FACTS IS THE WEEKLY BULLETIN FROM WARWICKHSIRE BASKETBALL. FENNELL ON FIRE AS HAWKS HIT TON! Back to form Ricky Fennell (pictured with team-mate Matt Glover) piled in another forty points as Aylesford Hawks slammed Coventry Tornadoes, notching up their first ton of the season on the way to three more league points. Arden Griffins finally managed to play a game and their home fixture saw them also in the ton-up brigade against Stratford. Trojans 1 maintained their 100% record in a hard-fought game against Coventry College, while Tamworth took the points from Leamington. JM Grizzlies got their first win of the season at Warwick China Red & Trojans 2 go to Ernesford tonight. In Division Two leaders Rugby Rage edged out Trojans 3 and meet Nuneaton tonight (Friday) at Harris School, while Trojans 3 lost out by eight at Westwood. DON’T FORGET, WE NEED PHOTOGRAPHS TO GO WITH OUR PRESS RELEASES AND TO INCLUDE ON THE WEBSITE. PLEASE LET US HAVE A TEAM AND SOME INDIVIDUAL PICTURES AND ANY ACTION SHOTS YOU MAY HAVE AND GET PUBLICITY FOR US AND YOUR CLUB. IT’S AS YOU WERE AT THE TOP! The leading lights in the first division carried on where they left off with victories for Tile Hill Trojans 1, Aylesford Hawks and Coventry College. Arden Griffins’ frustration continued with their home game against Ernesford Eagles called off, as was the other fixture between Warwick china Red and Tamworth Tigers, whilst Tile Hill Trojans 2 made it three from three as they won at Coventry Tornadoes. In Division Two Team Rebels continued their good form with a ten point win over Nuneaton, whilst leaders Rugby Rage were hosting Tile Hill Trojans 3 on Friday night at Harris School. The draw was made on Wednesday night for the first round of this season’s Handicap Cup competitions. Aylesford have declined to enter so, excluding them, the top eight sides in the Christmas league table go into the Bob Castledine Cup with the remaining teams joining those from Division Two plus the addition of Nuneaton Predators 2 making up the other tournament. The four winning sides will contest the semi-finals with the four losing teams playing in the Plate competition semi-finals. Each team plays the other members of its pool with the three pool winners plus the best runner-up going through to the semi-finals. The two sides with the poorest record will play off for a place in the Plate semi-final with the winner of that game joining the other three teams. All fixtures to be confirmed by Ian Pursglove.